Hello again from Ship Island! 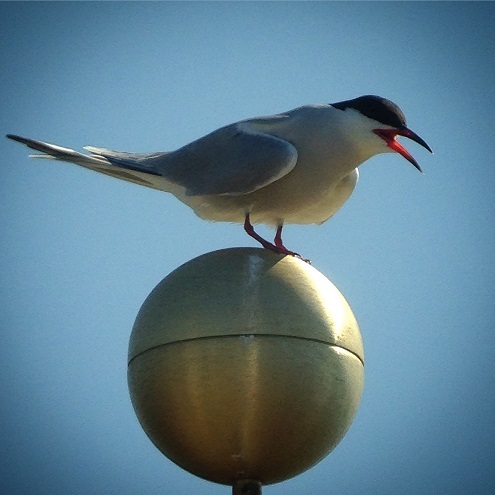 Summer is almost here and the terns are sticking around more and more every day. We’ve noticed the number of terns visiting the colony is increasing as well, so hopefully within the next week the colony will be formed and full of nesting Common terns. 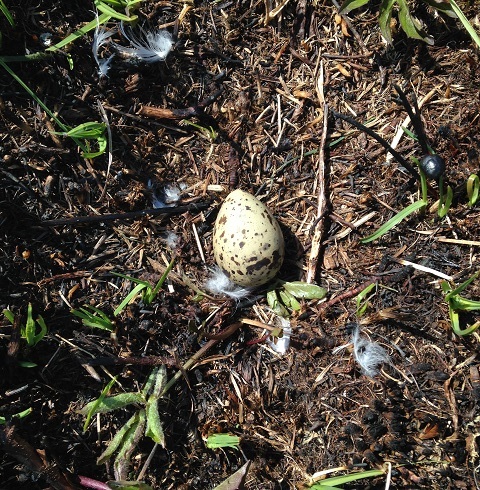 In the meantime, Mark found our first tern egg! The colony is on its way! 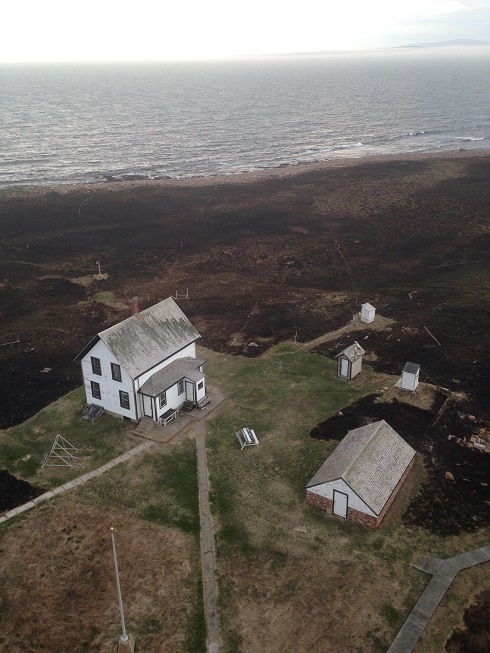 Many of you may be wondering what life is like when you’re living on a seabird island. Our days here start early; at 7 AM we conduct daily surveys of any and all birds on the island. These surveys typically include songbirds, waterfowl, and any marine birds. We get new avian visitors to the islands almost every day so these surveys are a fun and interesting way to start the day. The rest of the day is weather dependent. Aside from the important and almost constant roles of monitoring general movements of the tern colony and keeping an eye out for any predators visiting both Ship and Trumpet Islands, some tasks cannot be completed in rain or dense fog. Days when we are stuck inside (such as today- rain and wind gusts up to 30 mph!) typically include lots of reading, card games, checking up on emails and listening to the radio. We will venture outside for a quick survey of shorebirds at high tide and dusk, but the day is low key and relaxing. When the weather is cooperative, one of us will spend some time in the blinds observing the terns. The rest of the day is filled with completing projects for the Refuge staff. These can range from trail maintenance to removing invasive plant species to marking the 30 meter grid plot around the whole island. 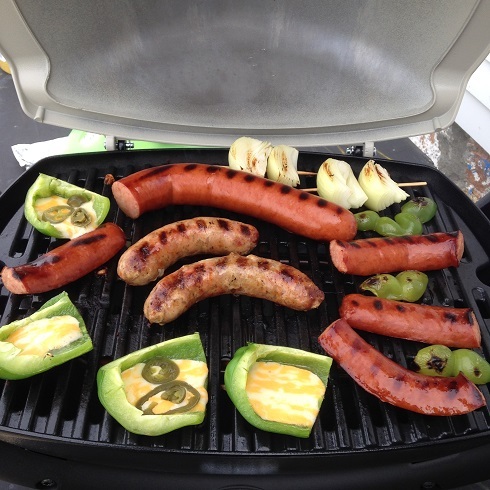 Once our main goals for the day have been accomplished, we take the time to enjoy the day. Exploring the different fauna on the island is always fun and there is usually time to squeeze in some beach chair lounging. It’s always great to spend an hour or two sitting outside, listening to all the birds calling, watching the harbor seals play and observing butterflies as they go about their days. Starting the day at 6:30 AM means we’re usually done with dinner and looking to get settled down for the night at around 8:30. Doing the dishes and sweeping are mundane activities typically, but there’s usually a beautiful island sunset to accompany you. 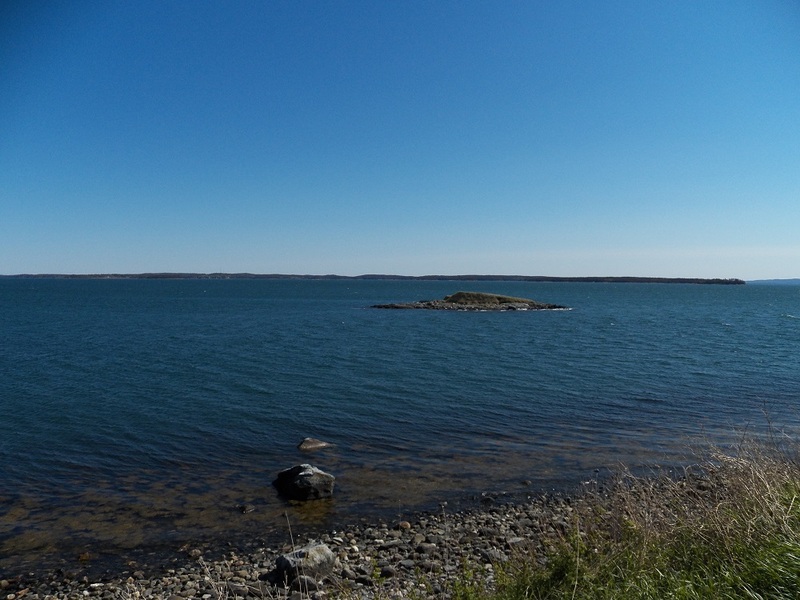 This is my first time living on a seabird island and it is a beautiful, interesting and tiring experience all in one. I’m learning new things every day and looking forward to the round the clock work that goes into monitoring a seabird colony! East Barge on a Beautiful Day! Little white and silver flecks moving through the sky like leaves dancing in the wind. Twisting and turning, colliding and winding, at first glance they disappear with the dark blue of the water. But with a simple turn, the setting sun light reveals them, and they emerge from the dark backdrop of the water and glow a bright slivery-white. These little slivery-white flecks were terns flocking over the ocean the other night. 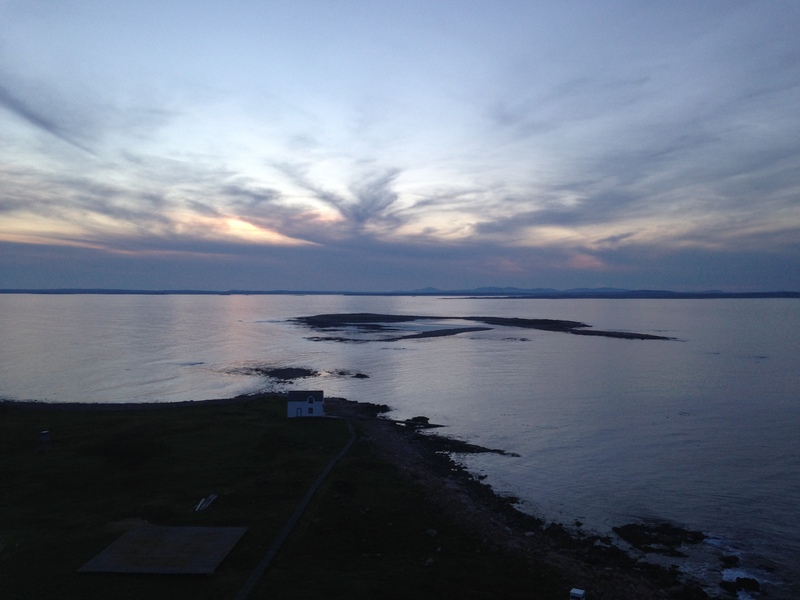 We were lucky enough to have witness this as we were up on the light house enjoying the sunset. This event went on for about five minutes and almost every tern on the island was participating. It was a foreign feeling to have the island quiet of terns. But the ocean was a roar with the commotion they were making. This flock was the most terns we saw on PMI so far this spring. As we predicted, more terns came to PMI that day and were flocking to strengthen the colony and welcome the new arrivals. 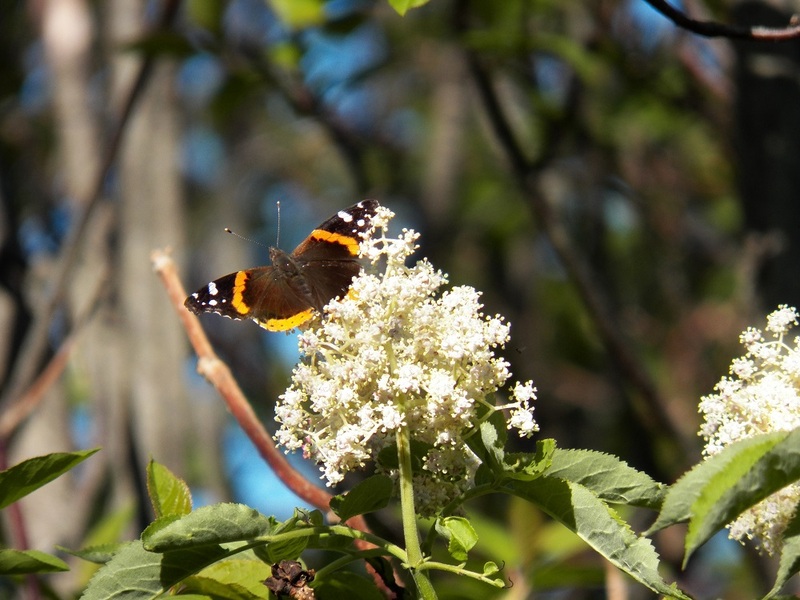 We hope to have more arrivals like this as spring progresses. Nesting season is in full swing here on Metinic, and we are excited to share what we are seeing! 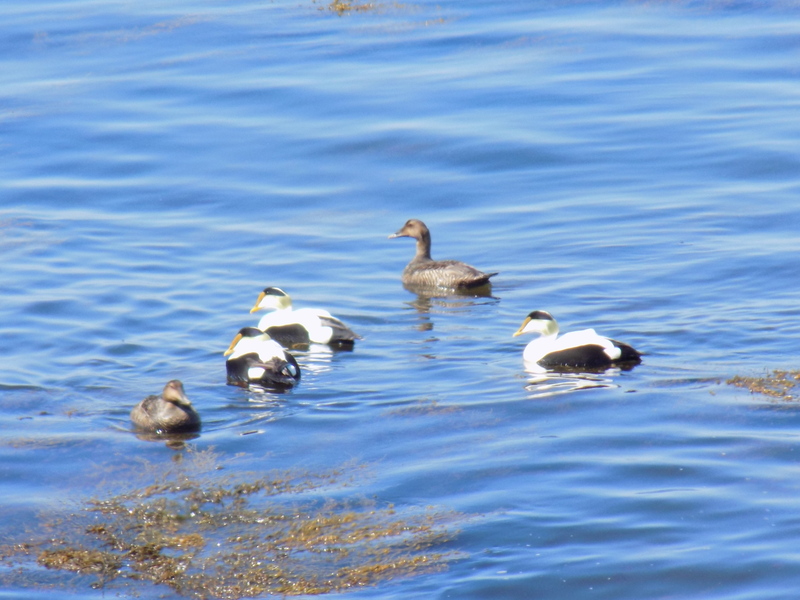 During these last few weeks of May, we have been conducting nest surveys for many of the seabird species on the island, including Herring and Great Black-backed Gulls, Common Eiders, and Black Guillemots. These surveys are conducted by walking the island searching for nests. 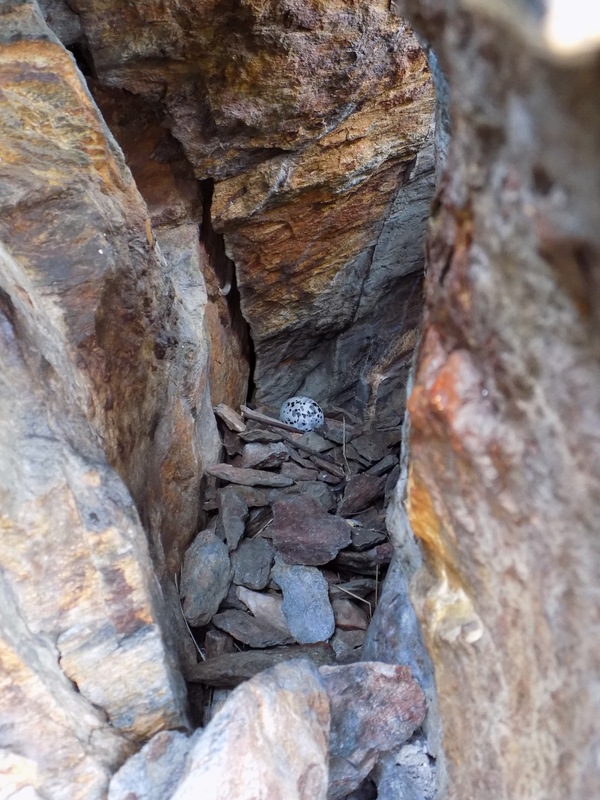 When a nest is found, it is marked and the clutch size is recorded. 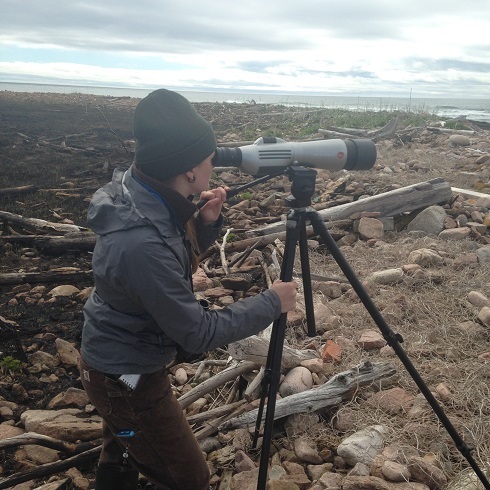 These surveys will provide accurate estimates on the number of seabirds nesting on the island and where their nests are located. For some seabird species, like the Black Guillemot, we will monitor the nests found during the survey throughout the rest of the season in order to determine the success of the nest based on the hatching and fledgling rates. 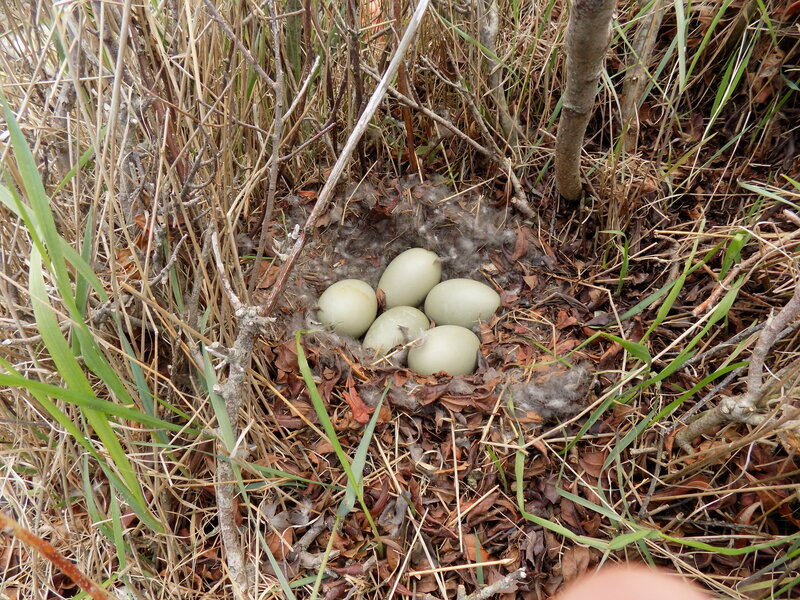 We conducted our initial gull nest survey earlier this week, finding a total of 23 Herring Gull nests, each of which had 1-3 eggs, however many were still in the process of building their nests, and a second census will have to be done soon. 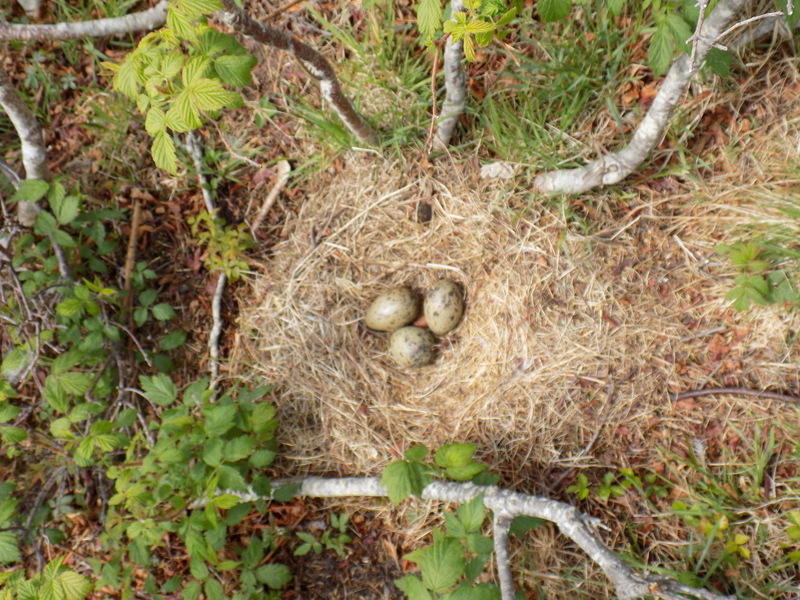 While walking the island we also located several Common Eider nests, all with 4-5 eggs. We will have a better estimate on the total number of eider nests by the end of the week when we conduct the eider census. 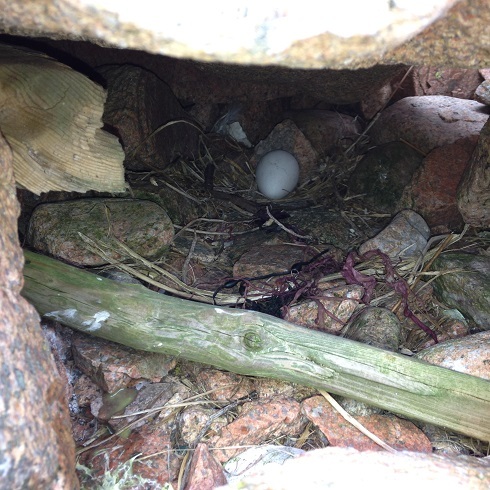 We have also been busy conducting Black Guillemot nest searches. 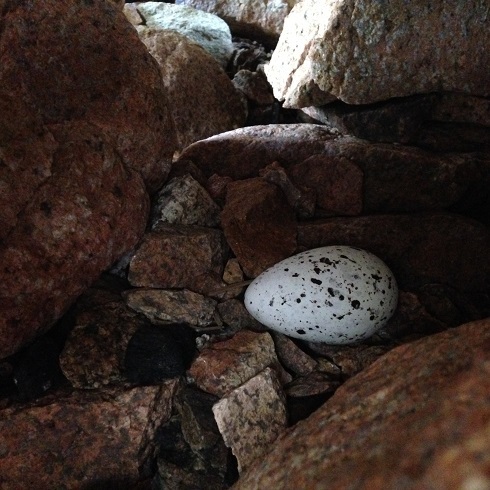 So far we have only located 3 active burrows, however, we were excited to find our first Black Guillemot egg! Lastly, we have been seeing more and more migrants on the island. We have observed over 50 different species of bird so far, and the list is growing everyday! We have continued conducting morning bird count surveys and are happy to see that the Common and Arctic Terns are finally starting to settle into the colony. 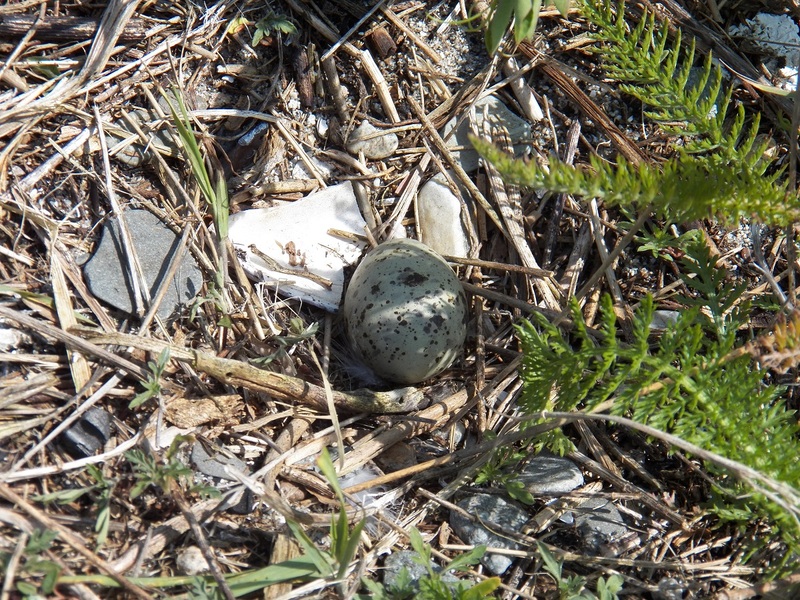 Just today we located the first scrapes, and hope to find tern eggs within the next few days! Many bird species migrate south every autumn to escape the frigid winters of northern North America. As the snow melts and the plants begin to green in the spring, millions of birds flow back to their summer breeding grounds. While Common Terns and a few other species will breed here, other birds only make a short stopover on or around Ship Island before resuming their northward flight. We’ve had the pleasure of catching a glimpse of a few of these passersby. 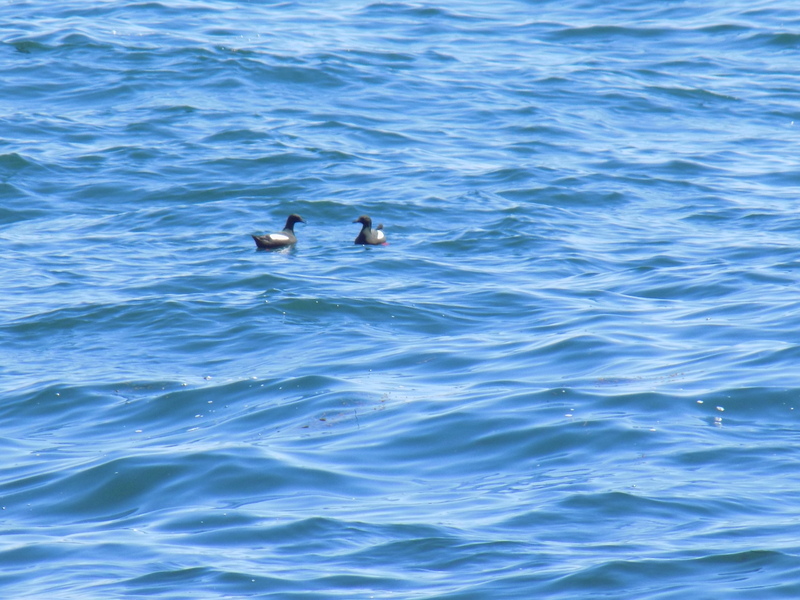 Common Loons, Long-tailed Ducks, and Black Scoters overwinter on saltwater. Loons breed on inland wooded lakes during the summer, while the ducks nest in northern Canada. Some of these waterbirds around Ship may have spent the winter in Blue Hill Bay, but others are probably working their way up the coast from further south. Shorebirds, such as Black-bellied Plovers, Least Sandpipers, and Short-billed Dowitchers spend the colder months along the southeastern and Mid-Atlantic coast. Foraging along the tideline of Ship Island, these birds can refuel for the rest of their trip to their Canadian breeding grounds. 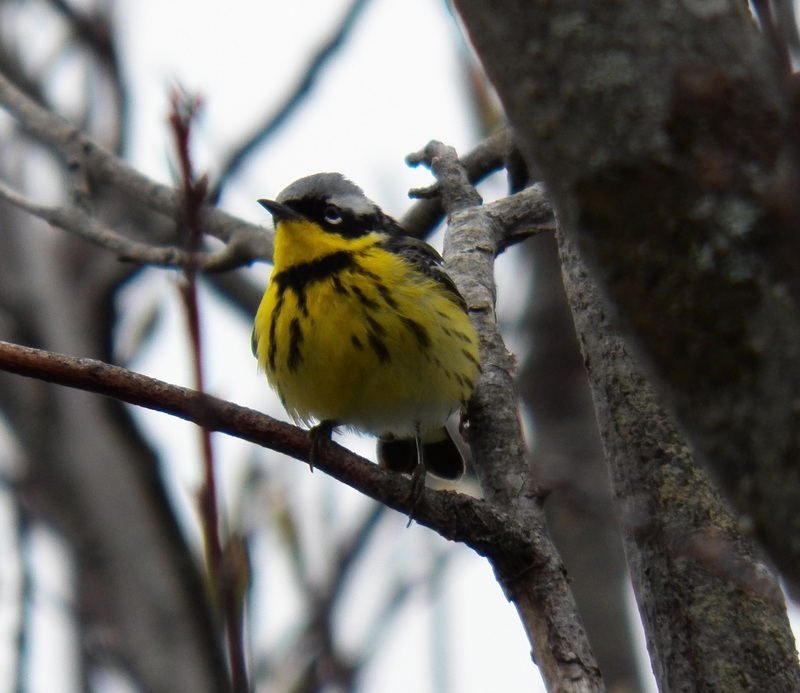 Bird watchers throughout the country revel in the annual springtime flurry of songbirds, especially the colorful warblers. We on Ship are no different, chasing half a dozen warbler species around our small grove. 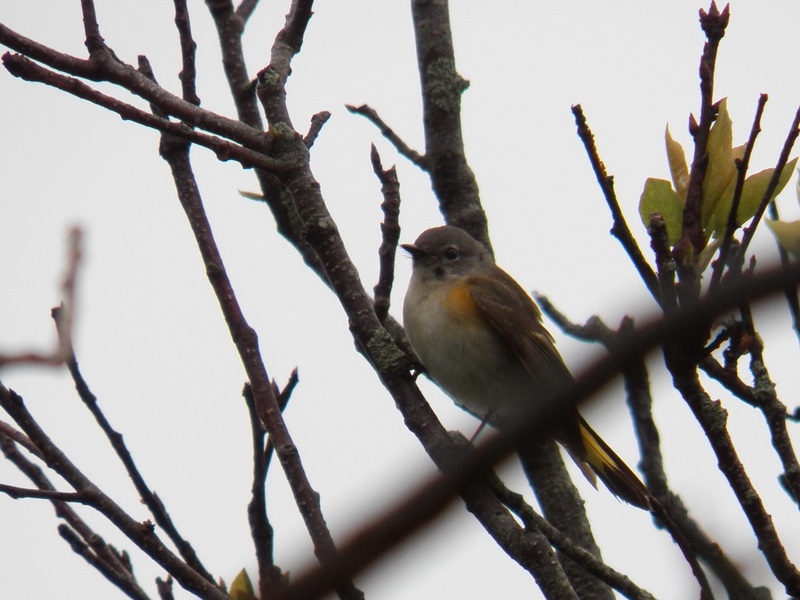 Several Yellow Warblers and Common Yellowthroats will remain for the summer, but others are on their way to breeding grounds in mainland Maine. 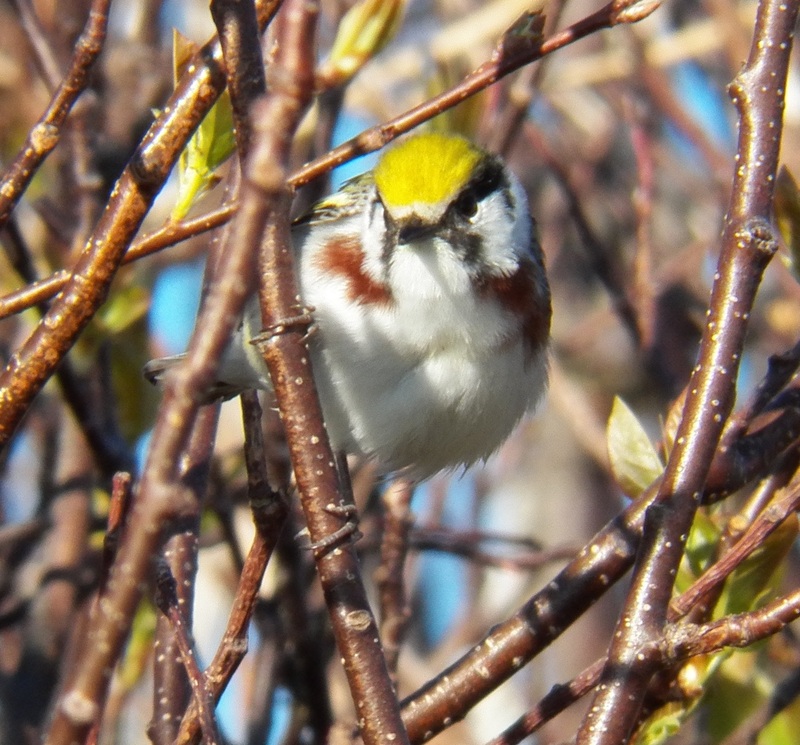 Magnolia, Blackpoll, and Chestnut-sided Warblers, along with a Northern Parula have all visited the island, gleaning small insects from the cherry trees. No migration post would be complete without making mention of the Snowy Owl that visited the island before the summer crew arrived. Two volunteer island-sitters were lucky enough to spot this Arctic predator flying around the island before its northward departure. As wonderful a sight as it would have been, it is probably for the best that it continued its journey before the arrival of most of the owl-meal-sized terns. The Start of a Fresh Season on Metinic! I’m Meaghan. I’m a fourth year wildlife ecology major at the University of Maine at Orono. This is my first summer living and working on a seabird island, and I am very excited to be able to do so! Last summer I worked as an intern at the MCINWR visitor center in Rockland. 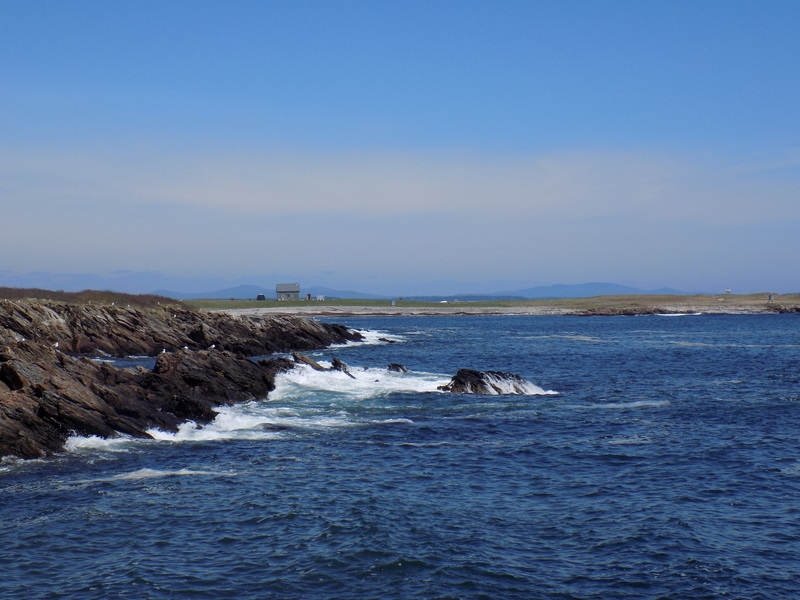 While there, I had the opportunity to visit several of the seabird islands and very quickly ‘caught the bug’ for island life and could not wait to get out here myself. Working as my supervisor is Derek. He is a fourth year environmental geography major at Central Connecticut State University. 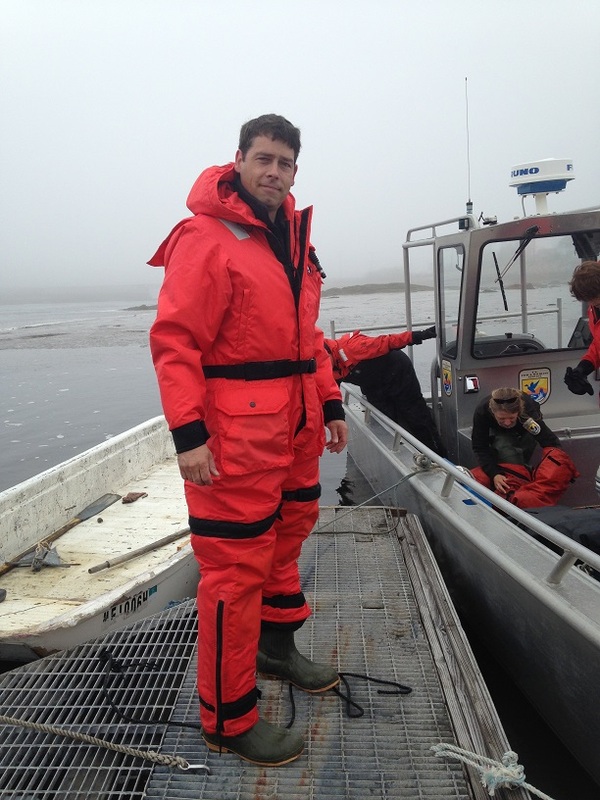 He is a Rhode Island native who has a lot of experience living and working on seabird islands in Massachusetts. 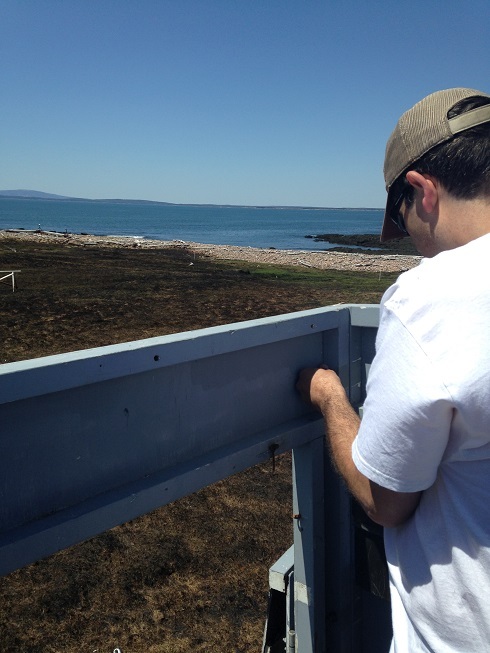 However, this is his first year working with MCINWR on a Maine seabird island. Our first week on the island was a lot of fun! The first couple days were spent settling into our new home and familiarizing ourselves with the island. We conducted a sheep round up in order to move the sheep, that graze across the island during the off-season, off of MCINWR land so they do not disturb the seabirds during the nesting season. We have also been walking the island checking for and collecting garter snakes. 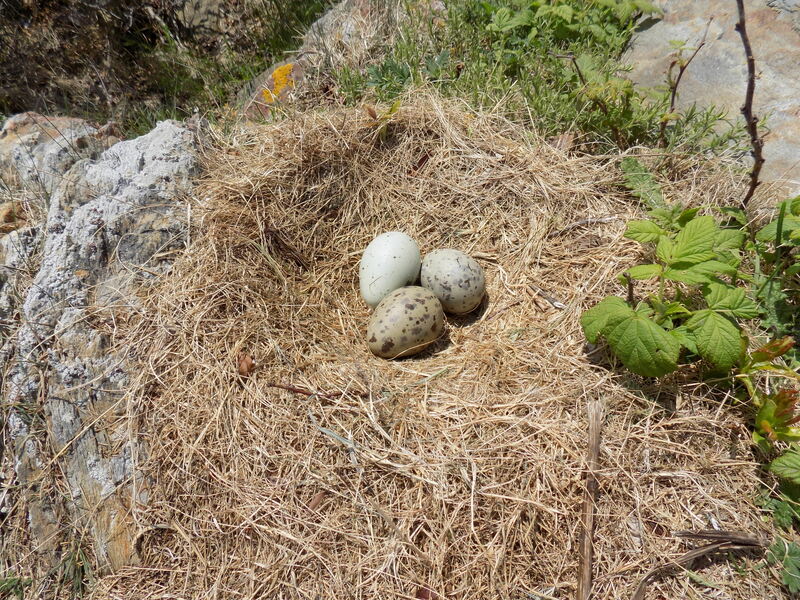 In previous years these snakes have been observed preying on tern eggs and chicks, so we are trying to exclude them from the seabird nesting area. Lastly, we have been conducting morning bird counts. 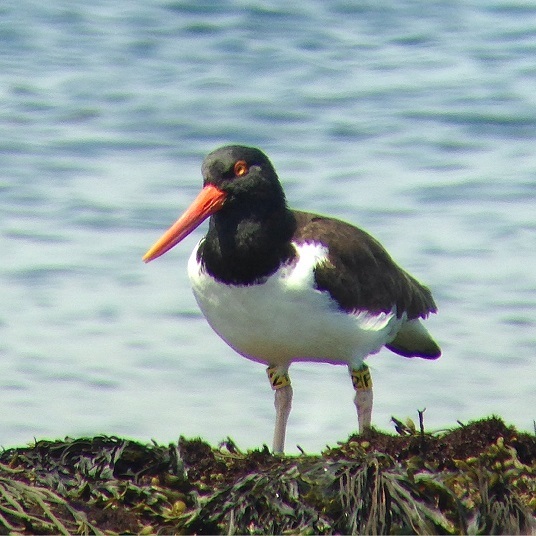 So far we have observed 31 different species of birds, including some migrants along with Common Eiders, Black Guillemots, Double-Crested Cormorants, and Spotted Sandpipers.The flock of Arctic and Common Terns that nest here annually have been observed visiting the colony in the morning hours and leaving around noon – presumably to look for nutritious fish. We were also pleasantly surprised to observe two Rosette Terns visiting our island! We are hoping that the terns will settle in the colony within the next week and lay their first eggs shortly after that. We are very excited to be working as the technicians on Metinic this year and are more than happy to keep you updated on all things seabirds throughout the season!